A new report from KGI Securities' Ming-Chi Kuo suggests that Apple's sapphire partner GT Advanced Technologies' recent filing for Chapter 11 bankruptcy protection will not affect its upcoming Apple Watch. However, he cautions that it does raise concerns about the possibility of future iPhones using sapphire displays. ... but it raises uncertainties on iPhone touch panel use of sapphire cover lens. Kuo suggests that GT Advanced's ASF (advanced sapphire furnace) sapphire ingot isn't the only one it's considering to use for iPhone displays, though it is the company's preference due to the superior drop-test performance of GT Advanced's sapphire. And while Kuo believes that Apple still wants to use sapphire displays for iPhones, the bankruptcy of GT Advanced will likely result in bottlenecks in ASF sapphire production. Other sapphire ingot suppliers are unlikely to benefit, as they do not measure up to Apple's higher drop-test standards. Apple had been widely expected to include sapphire display covers on some iPhone 6 models, but that development did not arrive. As Kuo notes, Apple still plans to use sapphire displays for Apple Watch, as it uses an ingot less than 6-inches and Apple's standards for drop-tests on the Watch are not as stringent as those for iPhone. What is all the drama around this filing? It's just a cash flow issue. Chapter 11 only serves to keep your creditors at bay until you get your financial house in order. It's essentially a court supervised negotiation of deferred payment of debt. 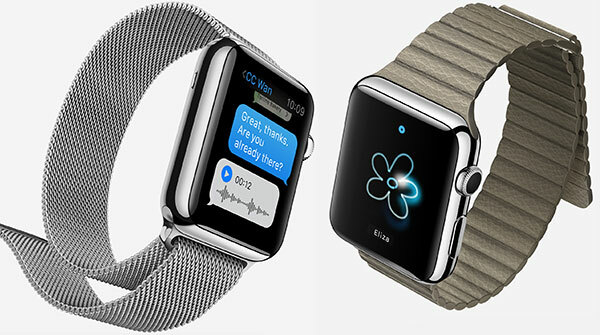 Apple Watch = Colossal Failure. Pretty bold statement considering we don't even know the release date yet. Based on nothing. Version 1 is going to have crappy battery life but the fun starts with versions 2/3 as it gets refined. He's batting 150% and issuing such bold statements 12 months in advance. Kinda bold, maybe he should try batting against little leaguers before saying stuff like this. oh please. Kuo is known to get a LOT of stuff right pretty far in advance. let's take his predictions from April 09 (full 5 months before the iphone 6 unveiling). He nailed both the size and the resolution on both models (AFAIK the only person to predict the resolution correctly all the way up to the last moment), got the NFC part right, got RAM and camera details right. and while he turned out to be wrong about sapphire for 6+ screens, given all the recent news about GT it's quite likely that this was actually Apple's plan originally but it didn't work out because GT could not deliver either on quantity or on quality. I have a $40.00 bill. Who's gonna hold the bet? Dinah-Moe Humm? I wouldn't trust a $40 bill. Don't you people see whats going on here ? It's all planned and fake. Apple is going to swoop in and buy the company now that this artificial low stock price has been fabricated. Bankruptcy has no impact on Apple Watch. As the Apple Watch sapphire cover lens uses an ingot of less than 6-inches, and as drop-test requirements aren't so stringent as those of iPhone. As Kuo notes, Apple still plans to use sapphire displays for Apple Watch, as it uses an ingot less than 6-inches and Apple's standards for drop-tests on the Watch are not as stringent as those for iPhone. Cool. Change just a couple of words and it's almost like you wrote it yourself.